IT'S being labelled as one of the lowest dog acts ever, but former NRL star Bryan Fletcher says he has just been the victim of a deceitful prank. The former Rooster who is now a star of Fox Sports' rugby league coverage was allegedly filmed by an Uber driver who dangled a bag of what appears to be an illicit substance in his face. 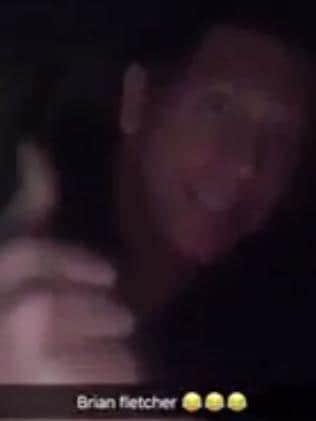 The Snapchat footage, which has now gone viral on NRL social media pages shows the TV personality giving the camera a Shaka hand gesture in the back seat of a car. The driver, who names the footy star in the caption, then says: "Look who I'm selling bags to …"
However, the host can be seen batting away the driver's hand as he attempted to distance himself from the camera and prankster. "Don't say that … I don't know who this driver is, we're just hanging out … it's Saturday night, I'm just in an Uber,'' Mr Fletcher said in the clip. The driver responds: "This the man". 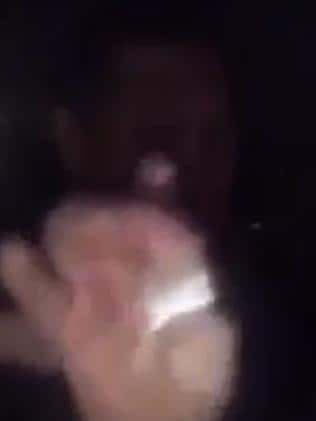 The footy star's fans have reacted angrily to the footage on social media in their hundreds, saying whoever filmed it had committed the "biggest doggin the boys s**t ever" and many called for the driver to be identified. However, Mr Fletcher's manager Steve Gillis told The Daily Telegraph his client was innocent and labelled the stunt a "set up''. 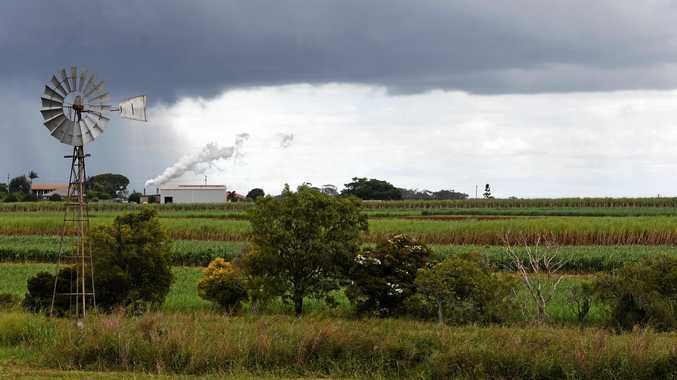 "He has done nothing wrong and told me he was in a taxi heading home with his wife after a night out having dinner," Mr Gillis said. "The driver asked him for a quick Snapchat video - he's been set up. "Fletch told me that he's never met the bloke, he just jumped in the back of his cab and driver pulled this stunt - he's clearly been set up." The former footy star is a popular host on The Late Show With Matty Johns and often jokes about his party boy lifestyle with viewers. He has yet to comment on the Snapchat footage. After leaving the Roosters in 2002, Mr Fletcher took up a more lucrative offer to join South Sydney before finishing his career in the Super League in Britain. He finished with 180 NRL appearances along with 14 games for NSW and 13 Tests for Australia.